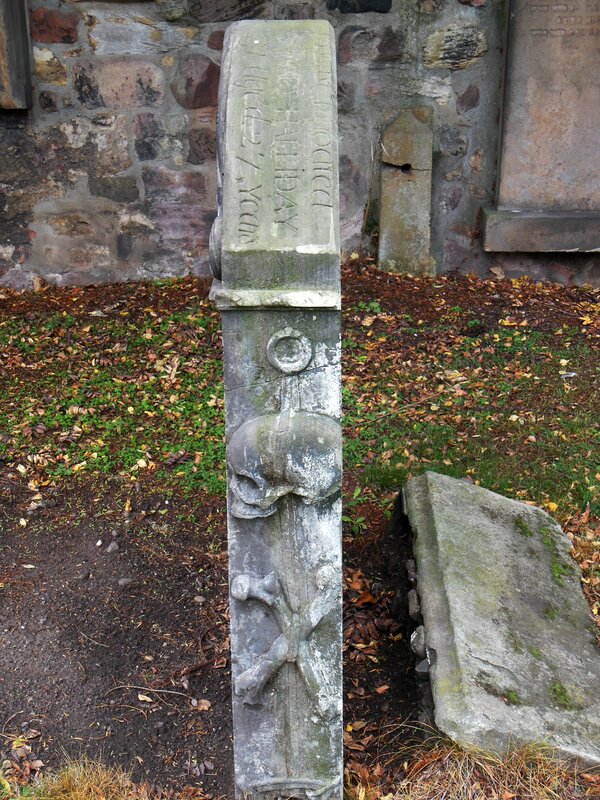 A red granite stone commemorating a small dog was erected in Greyfriar’s Kirkyard, Edinburgh by The Dog Aid Society of Scotland in 1981. 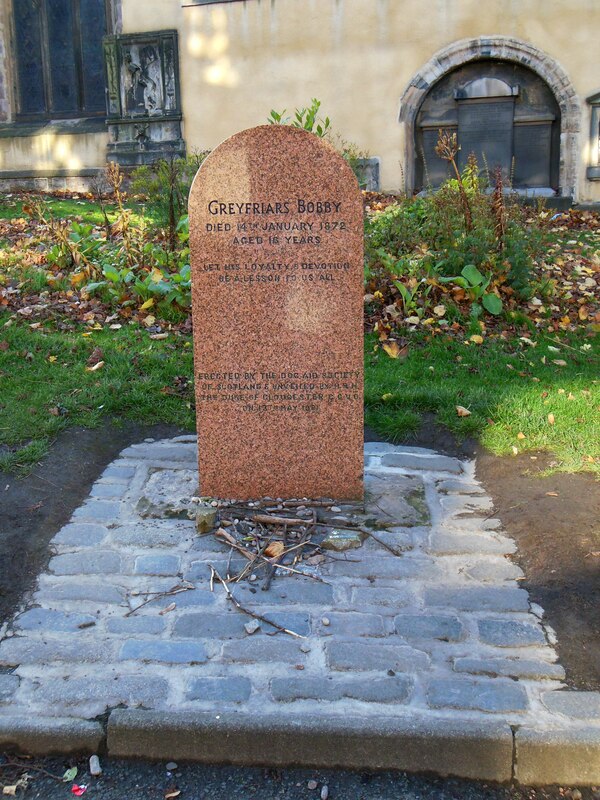 The inscription reads, Greyfriars Bobby / Died 14 January 1872 / Aged 16 Years / Let His Loyalty And Devotion / Be A Lesson To Us All / Erected By The Dog Aid Society / Of Scotland And Unveiled By H.R.H. / The Duke Of Gloucester C.C.V.O. / On 13th May 1981. 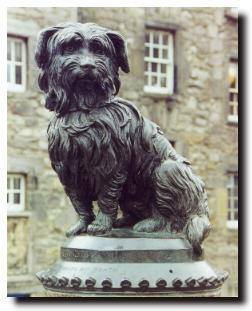 Greyfriars Bobby, a Skye terrier, is a legend of questionable historical accuracy. 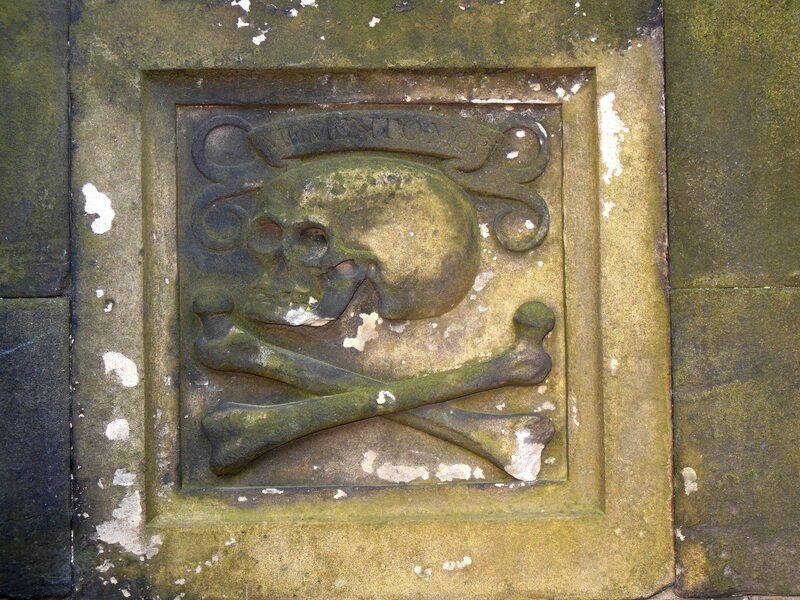 The fact which cannot be disputed is that a little dog lived within the Kirkyard in the mid 19th century and was fed and given shelter by local residents often showing up at Traill’s Restaurant in Greyfriars Place as if summoned by the One O’Clock gun. In 1867 a by-law required that all dogs be licensed by their owners with the understanding that stray or unlicensed dogs would be destroyed. The popularity and public knowledge of Bobby persuaded Lord Provost of Edinburgh, Sir William Chambers, a director of the Scottish Society for the Prevention of Cruelty to Animals, to purchase a license and award him the Freedom of the City. 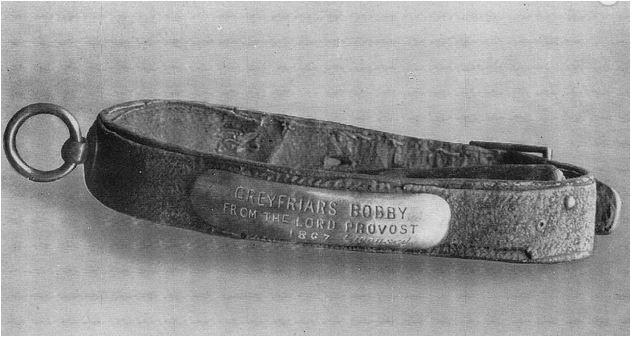 He also purchased a dog collar inscribed with the words: “Greyfriars Bobby from the Lord Provost 1867 licensed.” The collar is now in the Museum of Edinburgh, Huntly House, on the Royal Mile. 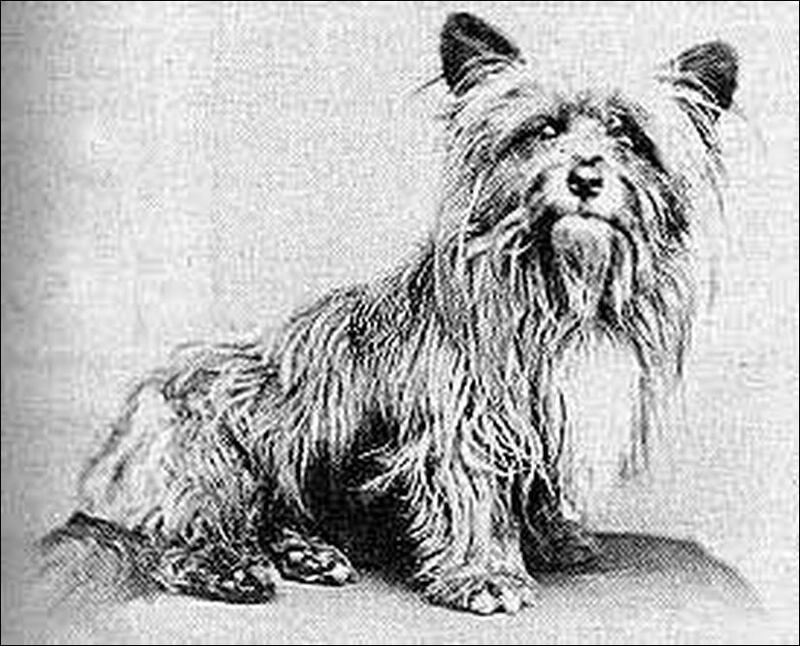 There are two versions of the legend of Greyfriars Bobby, a little dog with shaggy hair hanging over his eyes and a stumpy tail that died in 14 January 1872. 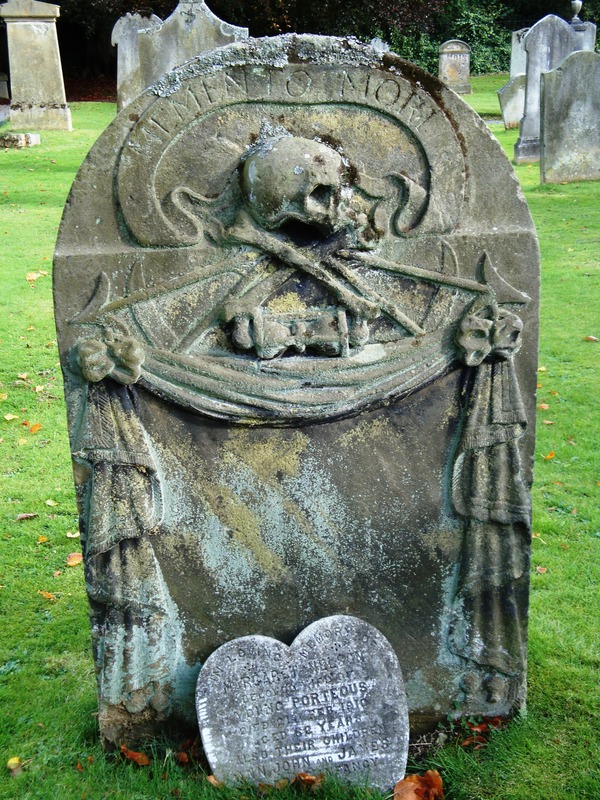 Version 2: Bobby, a nuisance stray that frequented Heriot’s hospital, was chased out by the gardener and took refuge in Greyfriars Kirkyard. 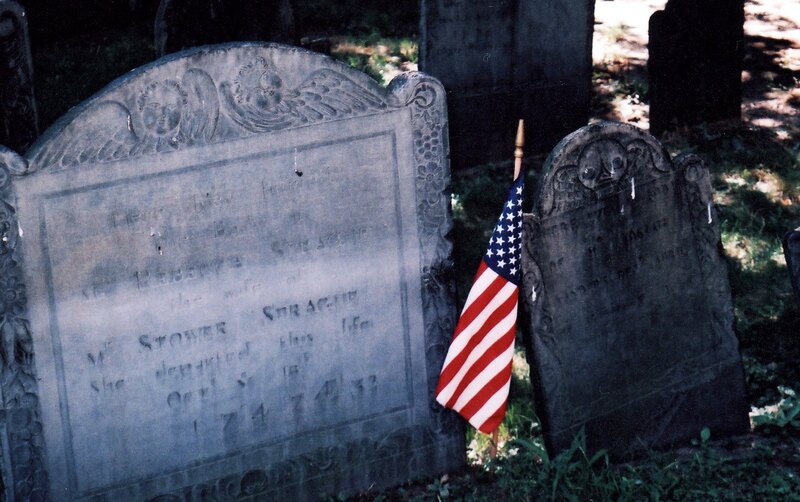 James Brown, the curator, became fond of him and began to feed him which encouraged the little dog to frequent the churchyard on a regular basis. 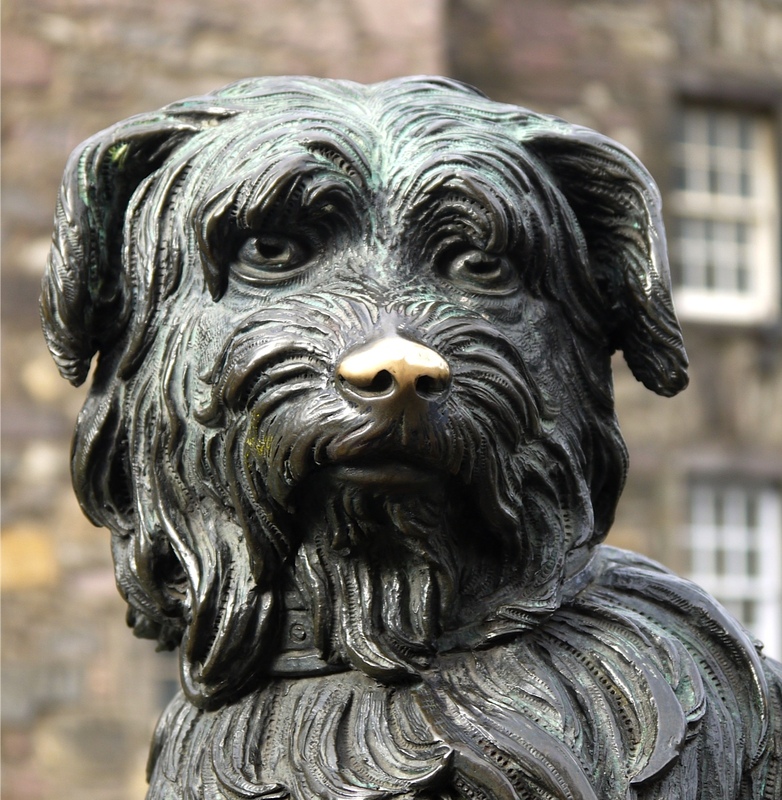 Visitors to the churchyard who saw Bobby believed he was a devoted dog refusing to leave his master’s grave and encouraged the curator to tell the story of Greyfriars Bobby. 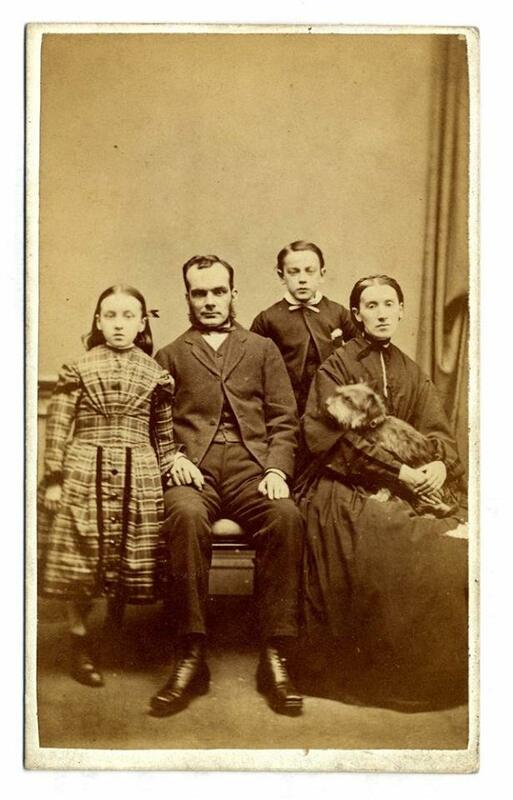 It is also believed that the original Bobby died in 1867. 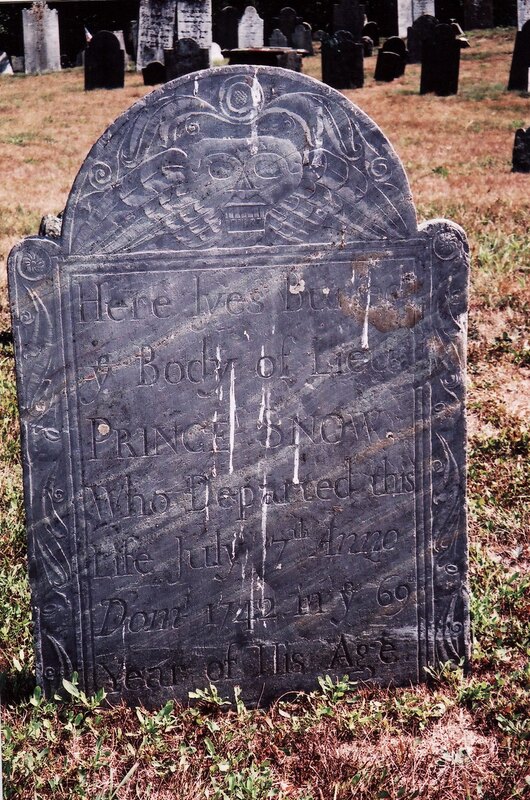 His story had become known nationwide, and to encourage visitation to the graveyard, he was replaced with a younger dog. The Curator continued to relate the story of Bobby in Traill’s Restaurant. 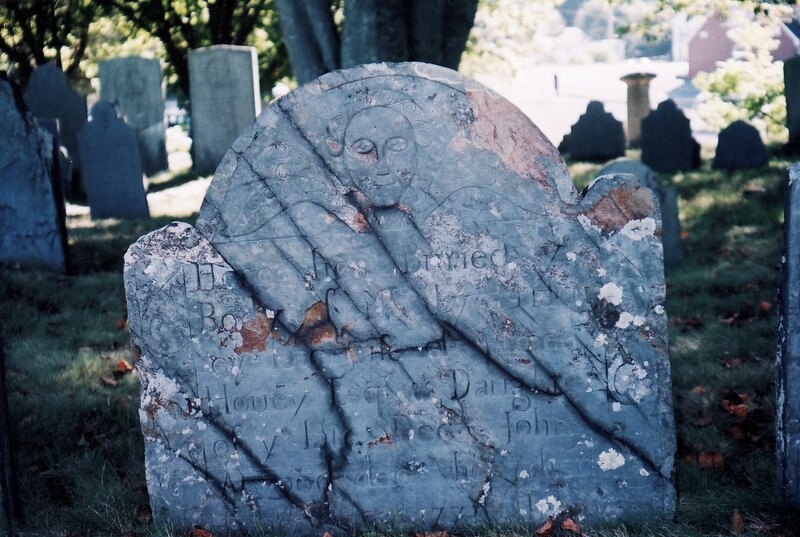 Nevertheless, the gravestone has become a shrine and fetch sticks, toys and flowers are frequently left there. 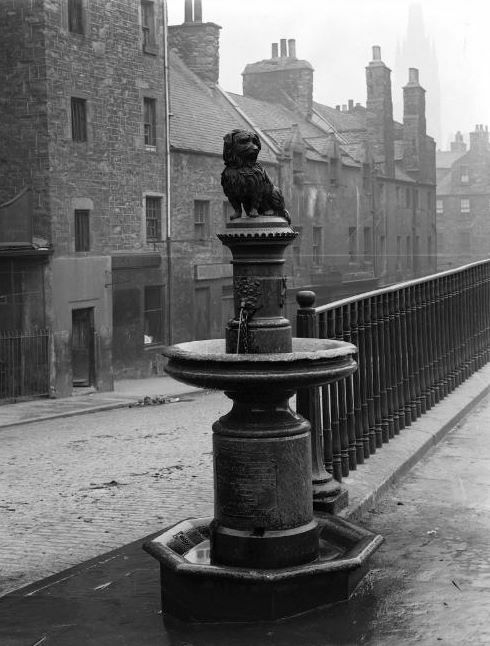 On 15 November 1873 a drinking fountain with a life size statue of a dog was unveiled near Greyfriars Kirkyard at the corner of Candlemaker Row and George IV bridge in Edinburgh. The red granite fountain offered drinking water to humans using stone drinking cups attached by chains until 1975. Dogs drank from an octagonal trough at ground level. 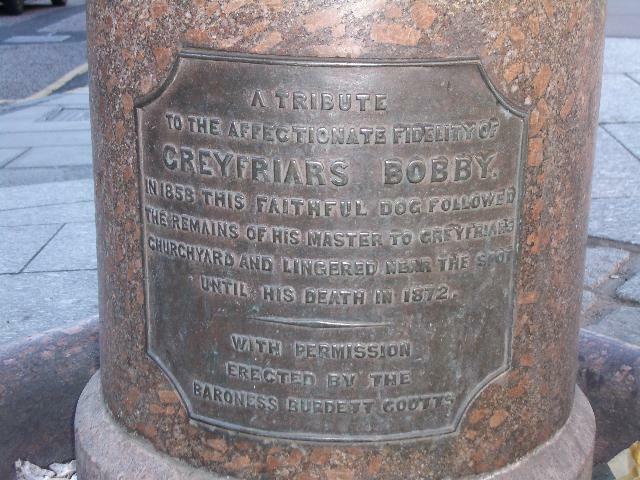 A plaque on the base reads A tribute / to the affectionate fidelity of / Greyfriars Bobby. 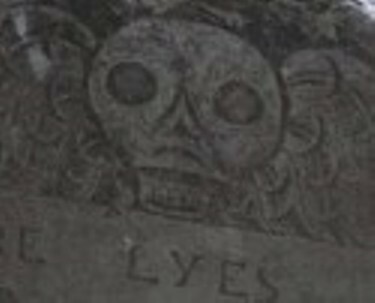 / In 1858, this faithful dog followed / the remains of his master to Greyfriars Churchyard and lingered near the spot / until his death in 1872. 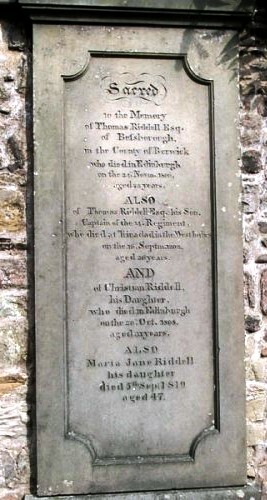 / With permission / erected by the / Baroness Burdett-Coutts. 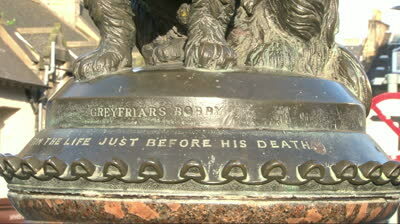 Inscribed on the statue is: Greyfriars Bobby, from the life just before his death and W.H. 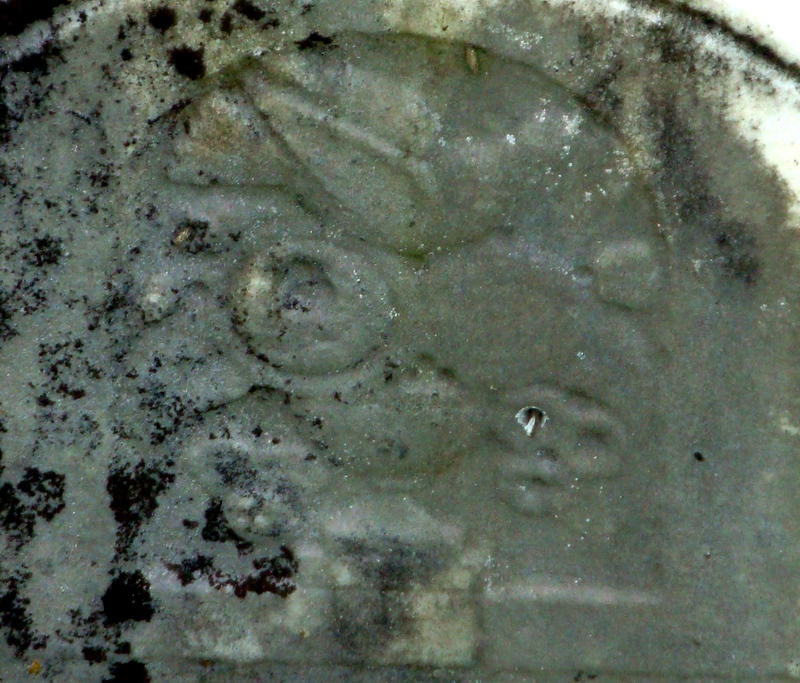 Brodie Sc RSA 1872. 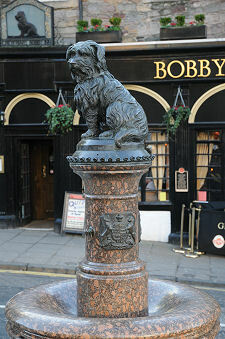 The bronze statue of a terrier was sculpted by William Brodie, and donated by Baroness Burdett-Coutts, the President of the Ladies Committee of the RSPCA. 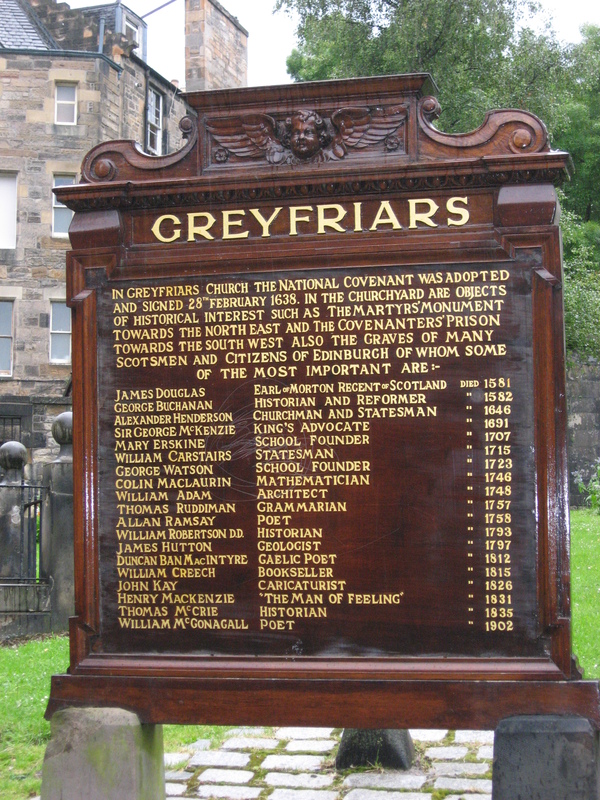 The backdrop to the monument is Greyfriar Bobby’s Bar, previously known as Traill’s Restaurant. 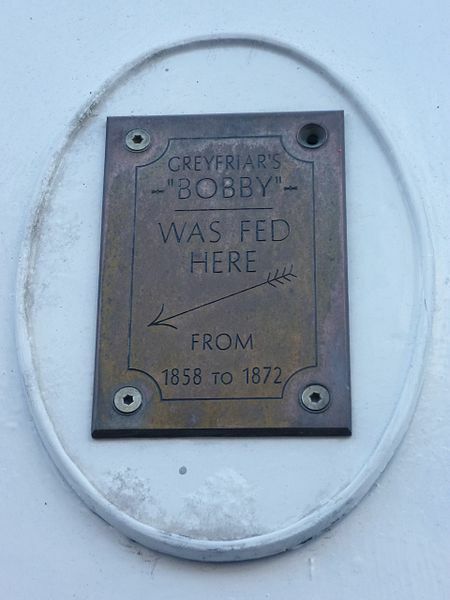 A plaque on the wall states: Greyfriars / “Bobby” / was fed here / from / 1858 to 1872. 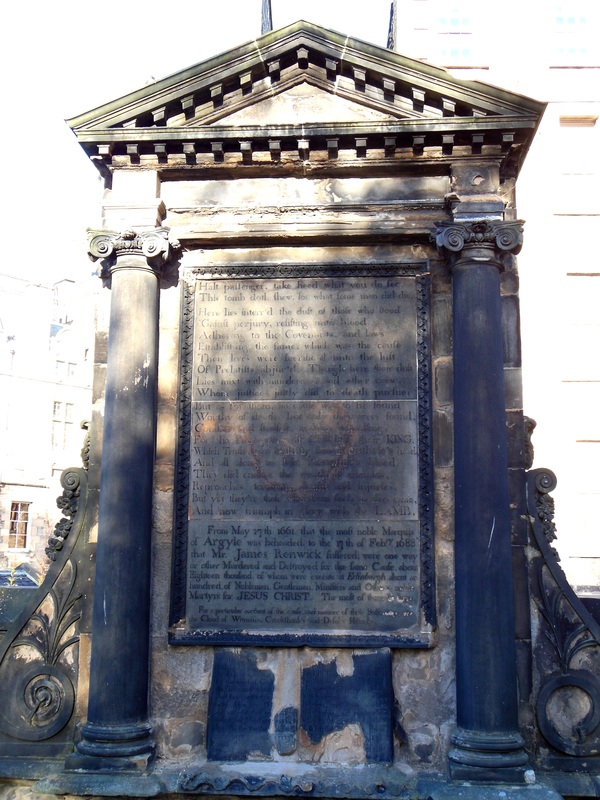 The monument was listed a Category A historic building on 29 April 1977 and is Edinburgh’s smallest listed building. 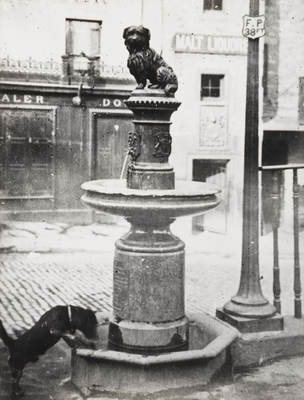 When the fountain was first erected a gas street light stood behind the statue, and during the conversion to electricity of the city’s lights, the lamp was removed. 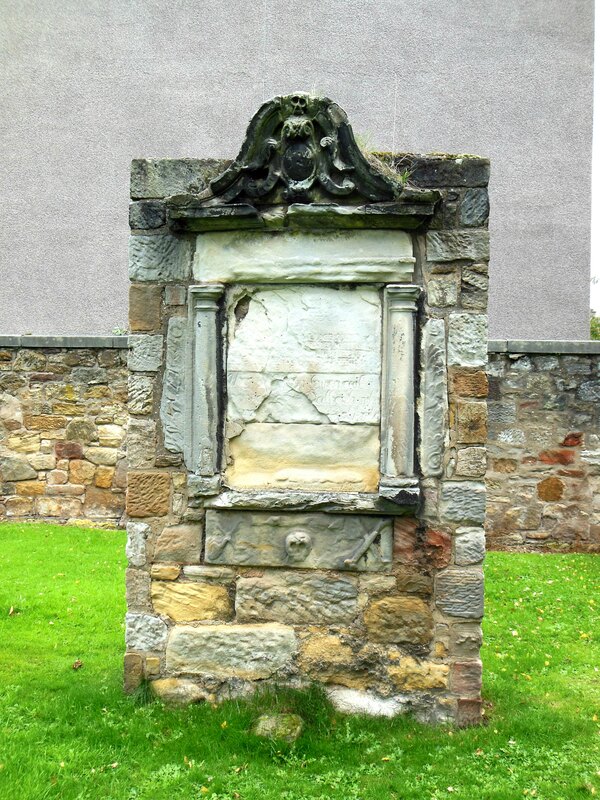 It has now been duplicated using historic photographs and salvaged lamp columns with the assistance of a grant from Edinburgh World Heritage. The fountain suffered damage due to vandalism and a car accident in 1984 which required repair. 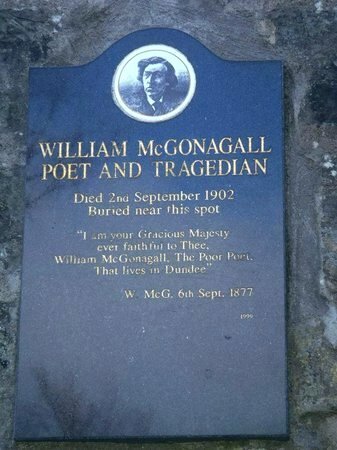 It was restored the following year. However, a recent custom of rubbing Bobby’s nose for luck removed the black finish and exposed the underlying brass. On 1st October 2013, Powderhall Bronze, a sculpture conservation and restoration specialist, was hired to clean, wax and re-patinate Bobby’s nose. 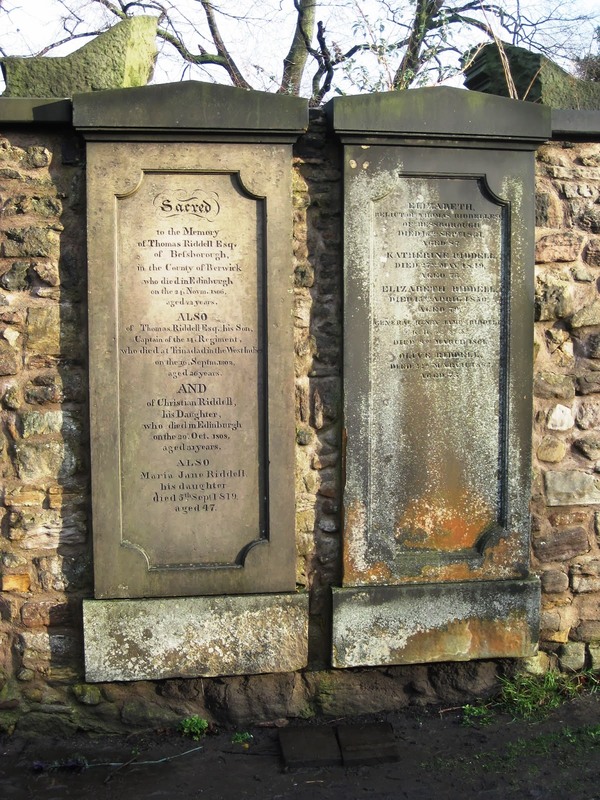 This monument known as the Martyr’s Stone is set into the north east corner wall of Greyfriar’s Cemetery in Edinburgh. 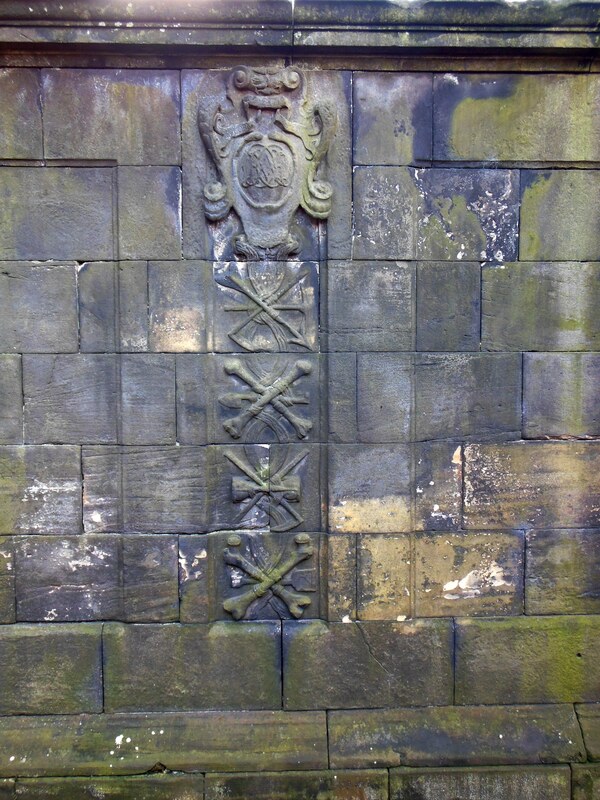 As can be seen in the photograph hundreds of years of neglect and fierce weather has damaged the monument. 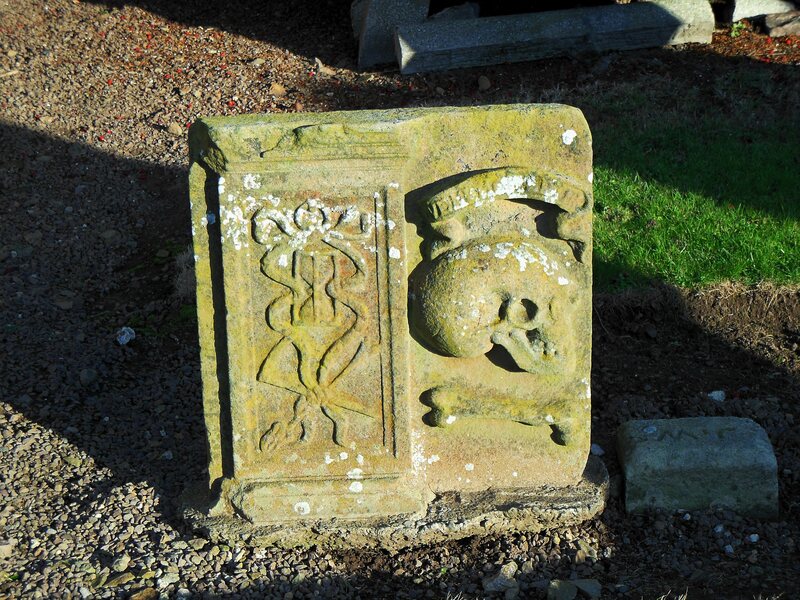 Worthy of death, but only they were found. For the Prerogatives of CHRIST their KING. And all along to Mr. Renwick’s blood. And now triumph in glory with the LAMB. 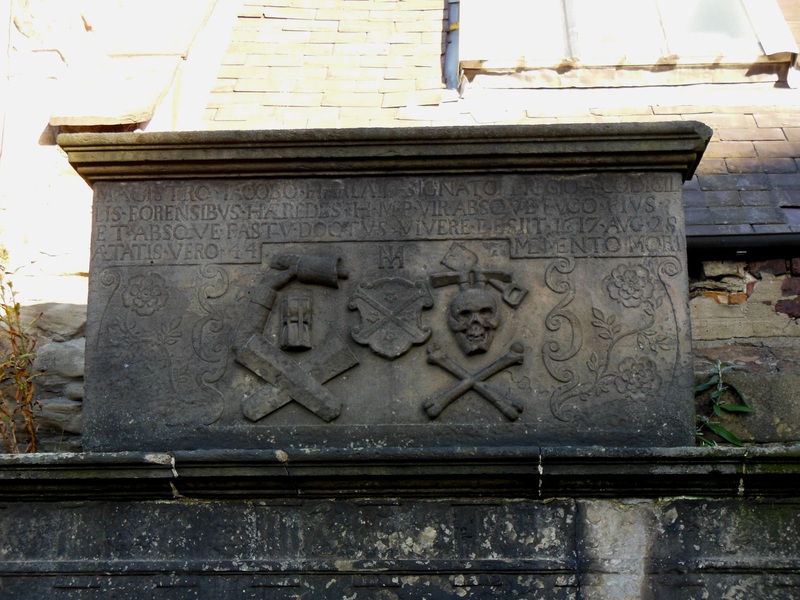 Martyrs for Jesus Christ. The most of them lie here. 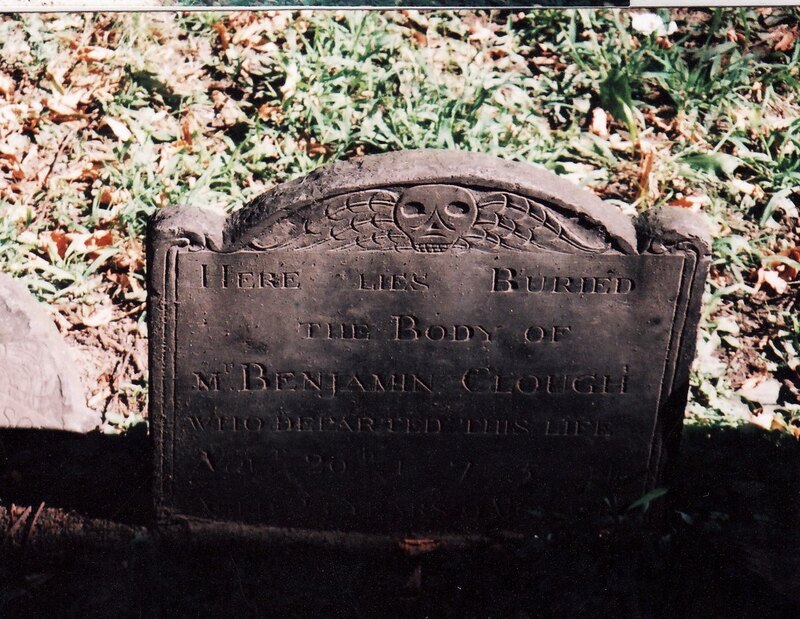 The Cloud of Witnesses, Crookshanks, and Defoe’s histories. James Guthrie, a minister at Stirling.